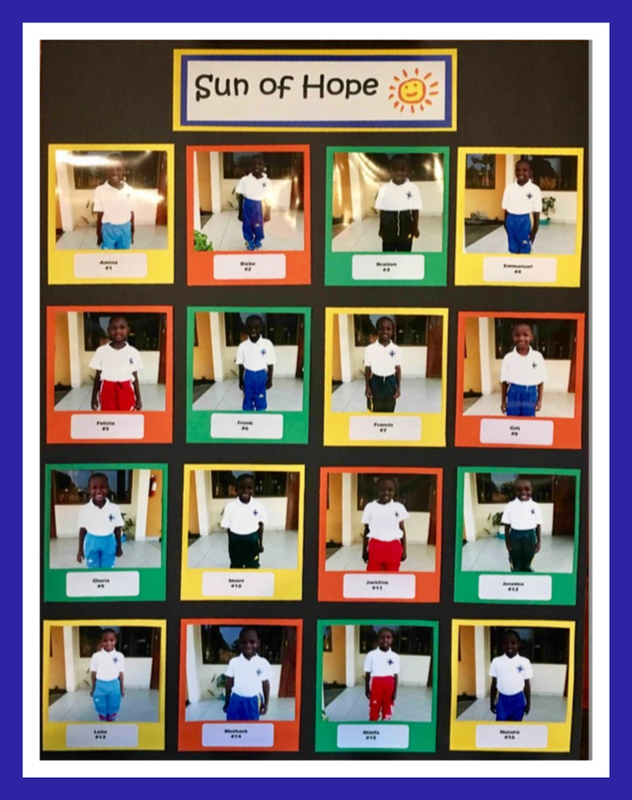 The Sun of Hope Orphanage, founded by our very own Holy Spirit Sisters for their 50th Anniversary, is located in Tanzania. The orphanage currently houses and educates thirty-two children. The plan is to successfully prepare these children for secondary school, which is a long shot for most Tanzanian children. 1) In the back of church you will find the displays pictured below of the children who currently reside at the orphanage. Pictures on both sides of the foyer are the same. 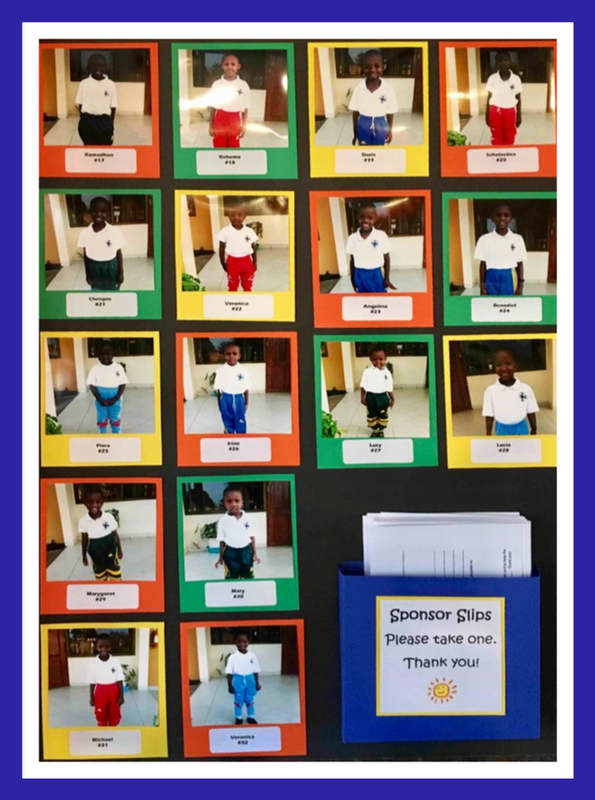 2) Please look the pictures over and decide which child you would like to sponsor. Don’t forget to take a sponsor slip located on the display. 3) Take the sponsor slip home and fill it out–you choose the amount and where you would like to help–either with material items (clothes, shoes, soap, etc.) or school supplies (stationary, books, pencils, paper, etc.). Place the completed slip with your one-time donation in an envelope. 4) Drop your donation in the box as you enter church until Sunday, April 8th. 5) You will receive a picture at the end of the project–look for an announcement in the Church Bulletin for photo distribution dates. The picture is just a little reminder that you are making a difference in the life of that little girl or little boy. Father Renny’s Parents Celebrate 50 Years of Marriage!